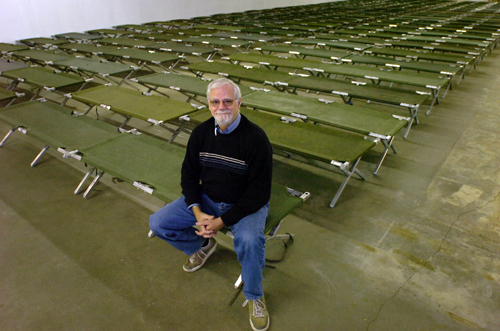 The Long Beach, Calif., Post-Telegram earlier this month featured a member of the Grace Brethren Church, Long Beach, Calif. (Lou Huesmann, pastor) who is leaving his position as president and CEO of the Long Beach Rescue Mission. The article notes how Jim Lewis has impacted the Rescue Mission and the Long Beach community on a number of levels, including building bridges with other service providers, helping make the area around the Mission more safe, and increasing the donor base (and donations) for the Mission. A portion of the story appears below. Read the complete story here. The energetic president and CEO of the Long Beach Rescue Mission is leaving quite a legacy for his successor. In the wake of the announcement of Lewis’ departure, he is being remembered by the homeless and low-income communities, along with neighborhood groups, as a man of passion and compassion. Colleagues say he is a man full of opinions, who still was able to listen. And he is a guy who made things happen. Susan Price, manager of the Bureau of Community Health, oversees homeless services and the multi-service center, among her duties. She remembers almost from the outset that Lewis worked to “build bridges with the continuum of care” and other groups. “The gap had been noticeable between the Rescue Mission and service providers,” Price said. Robert Probst, the associate director of the Rescue Mission and interim head during the search for a new president and CEO, said Lewis came at the perfect time.